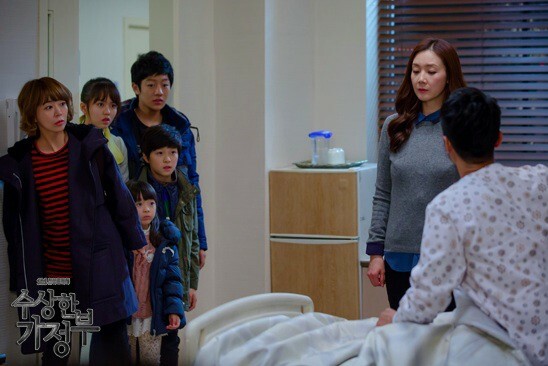 Eun Sang-Chul (Lee Sung-Jae) and his four children encounter difficulties after the sudden death of his wife. 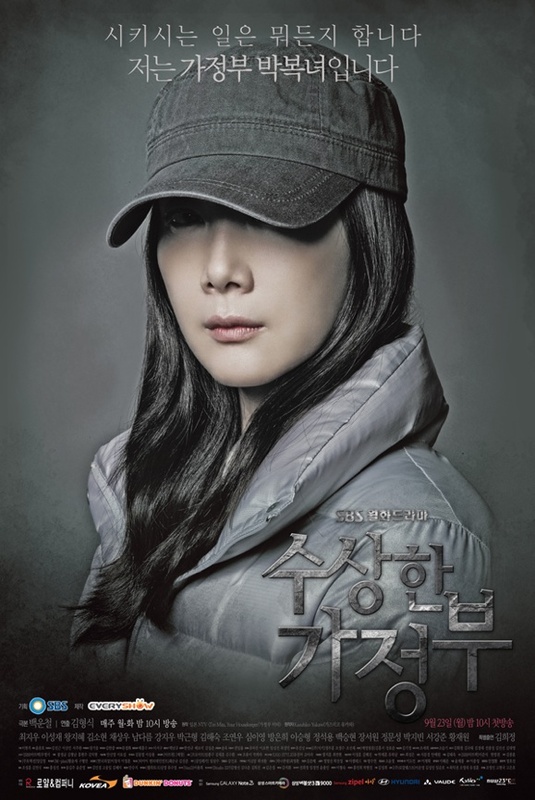 Then, a suspicious housekeeper named Park Bok-Nyeo (Choi Ji-Woo) appears. Because of the housekeeper, Eun Sang-Chul and his children faces various cases and family members who hate each other begin to experience love and reconciliation. "Suspicious Housekeeper" takes over the SBS Monday & Tuesday 21:55 time slot previously occupied by "Empire of Gold" and will be replaced by "One Warm Word" December 2, 2013. Remake of 2011 NTV drama series "I'm Mita, Your Housekeeper". First script reading took place in August, 2013 at SBS Tanhyeon Production Studio in Gyeonggi Province, South Korea. Raptor Aug 26 2018 9:15 am I’ve reached the episodes that the Korean remake is starting to make more significant changes since it is a longer show, and I do appreciate the writers’ edforts to expand Bok Nyeo’s story and flesh out her character the Japanese version hadn’t. When Hye Gyul (and later the others) started crying out for her and addressed her as Mom I thought my heart could break - even the bitchy neighbour broke down in response to this sight (another very welcome ‘upgrade’ to this version in my opinion). I like most of the added characters but I really cannot connect with the actor who is portraying the father Sang Chul. Perhaps the Japanese version had portrayed him in a certain way and I’m seeking something familiar, but I just can’t find it with this version yet. Potato Sep 04 2017 12:21 pm You know in the beginning when one of the kids asked Bok-Nyeo to kill them? She should've obliged. She should've ended all of those little bastards. Paul Wrightsman Sep 04 2017 9:35 am Watching this 4 yr old drama and I fault it in the same way as more recent dramas. Almost without exception when the drama includes children they are totally without discipline. Uncorrected temper tantrums are the norm. Bad, bad, bad impression of Korean parenting! Ana Castillo Jan 23 2017 10:32 am I like this TV Programs.. there's a lot to learn from this series.... a must watch!!! Salute to Choi Ji Woo and all the cast... i adore also the little kid named kang ji woo... she's really really good... Congrats to all the Cast and all the Crew...keep up the good work! doram Dec 05 2016 7:14 am In case everyone misses it, this drama is an adaption from a japanese drama. So the plot, the character, is based on the japanese writer, Kazuhiko Yukawa. Salute. ikemen Nov 10 2016 9:03 pm I have this early comment because I just watched to episode 10. I'd rate this a climax episode when the past is exposed, in an extreme cruelty way of feeling. At the moment I see Bok Nyeo shed tear, my soul blank. It was a long and painful life story to tell, I wonder how cruel can the gyeol-family try to make she tell. I feel every expression on Ji Woo's face although there's suppose to be none. Now I know why the drama was remade; To exterminate all the cold-hearted people like me... Just watch, the feel will seek you! BP Nov 07 2016 3:44 pm An A+ show from everyone involved: production team, actors, writer, OST producers, I have watched it three times since it premiered in 2013 and each time I find more outstanding and poignant values in it. Everyone's characters - except the two main male villains - transform and improve for the better. This is my favorite Choi Ji Woo performance after her sterling one in the classic Winter Sonata. She's made some disappointing shows in the past but not this one. Her every scene was powerful. This is a wounded soul who blames herself for something that was not her doing. Stalkers are evil people, and she was as innocent as her family who were murdered, she just somehow survived his evil, not just once, but twice, using her brain power to get the best of him. The last episode where she finally smiles -- it was like the sun gleaming out of the heavens after Noah's Ark rain stopped flowing. I cried and cried. This is an essential drama to watch for the K-drama fan. Do not miss it. Mii Oct 15 2016 1:52 am Not as good as the original but still really good and touching. Under-rated. dido Jul 28 2016 8:09 am very nice, entertaining and i've learned a lot..only when you forgive yourself will you be able to love again..i thought this was suspense drama but its actually suspense comedy..love it..as expected from both choi ji-woo and lee sung-jae..well done both! !great casts too..
Ozmo May 26 2016 7:28 pm Wow, that was fantastic! One of the best, most varied, and ultimately satisfying, Korean dramas I've watched. Everything about it was perfect. A must-see for anyone thinking about watching it, you won't be disappointed. Congratulations to all involved. Thank you. Migthy Thor May 17 2016 3:59 am very nice family oriented drama. Very powerful cast! Story is fantastic! misscat Jun 27 2015 11:06 pm _I love HyeGul she's so cute and adorable..
what May 28 2015 8:16 pm I love this drama! Every episode was great and worth watching. It was nice to see how each family member dealt with the issues they were having in their life. Also I would recommend a box a tissues by your side because you will cry. A Mar 31 2015 1:38 am Does anyone know what song park ji bin sang to kim so hyun in ep 8? kim so hyun Jan 22 2015 2:03 am I also like Park Geon tae, Jae hee, and Kim Jae won because I am prettier than Kim yoo jung and Hyun Seung Min and other girls in the world! Mari Dec 13 2014 6:36 pm Very heart warming drama, very good. Ms. Choi Ji Woo is the best and very good actress indeed I love her so much. kez Nov 17 2014 10:38 am the fact that Park Ji bin(woo jae oppa) was in this drama made me love it more. I liked the teacher at se gyeol's school. Great work everyone.!!! CJW fighting. Superwoman Sep 21 2014 2:53 pm Great drama and acting by all! Love the fabulous CJW, she deserves an excellance award for her portrayal of the housekeeper! Great job! dramaqueen Sep 21 2014 2:46 pm CJW deserves an excellence award for her acting in this drama. Superb! The beautiful and talented CJW fighting! Janet Aug 22 2014 9:26 am I wasn't intended to watch this one but after readying comments on this page, I decided to give this drama a try! !very pleased with it till now ( 14 episode) and moved by the housekeeper character (Choi Ji-Woo). there is sth different in this drama that distinguish it from all Kdramas Ive ever watched (can say almost out of 30 ones!!!). It is must drama for every k drama fans, who want change for time being from regular flower boy romantic stories or from action ones.... Must watch !! TKJ Feb 25 2014 7:19 pm The youngest daughter was so adorable and such a sweetheart, loved it when she imitated the housekeeper, so cute! Yoon Kai Raa Feb 05 2014 12:57 am it has a unique story, completed by the cast's good acting. especially choi ji woo, she is no wonder one of the greatest korean actress. i felt the warm feeling of the familly when i watched it. so sad the rating not so good. Evelyn Moran Dec 25 2013 11:08 am Oh my Gosh ! This is soooo good..... I have to read the English but that's ok... This woman is amazing actress..... I love it ! All the characters are so real. I'm from Long Beach California. SLee Dec 17 2013 9:29 am One of the most heartbreaking yet heartwarming dramas ever! Superb acting by all cast members and wonderful ending, although I had hoped there were more love scenes between Sang Chul and Bok Nyeo throughout and more apparent (physical) changes to Bok-Nyeo/Eun Soo at the end. But nevertheless, a must-watch drama. mirool Dec 13 2013 9:09 am I really recomended this drama to all the kdrama lovers out there! It's well done and the cast also do their best job especially Choi Jiwoo. the child actors are really professional and making you cry and laugh. THIS IS THE BEST DRAMA I'VE EVER WATCH. although it can't beat the orignal drama, Kaseifu no Mita with 40% but whatever. sylvia Dec 08 2013 12:54 am I love this drama so much,I was thinking the housekeeper is their mum,that she came back to be a house keeper to know how her children and husband are doing,But they did a wonderful work,specially the children. Kristine Dec 05 2013 12:35 pm Lovah lova love it! Nice ending, Great watch! Daebak! Enrique Dec 01 2013 11:26 pm Choi Ji-Woo has given her best performance in this drama. No words can express how amazing her role is. The kids are great. They make you cry, smile, laugh, etc. The father is also great. I finished episode 12 and I can't wait to watch episode 13. For me, this is the best show I've ever watched. Amazing cast and screenplay. Guys don't miss this show, it's is one of the best dramas ever. lala Nov 30 2013 5:11 am very good drama! comeback of hallyu choi ji woo!! mary Nov 23 2013 2:33 pm Hey does anyone knows the song that translates something like: what should I do ( the korean one) sung by a lady? CW Nov 21 2013 1:35 pm Oh! I also wanted to say, those kids, make me cry and laugh at the drop of a hat!!!! They are doing a great job! CW Nov 21 2013 1:33 pm I have just started to watch this drama, on ep 4. I am intrigued! I found myself trying to figure out the housekeeper. She an android? She a sociopath? What's the story there? (Don't tell me, hehe) Then it suddenly gets into deeper issues. I find the father's disinterest in having kids nor his wife and being completely honest about it, interesting. There are many parents in the world, especially older generations, in which they just got married and had kids, whether they wanted to or not, now because of overpopulation, societies in countries everywhere, can decide more so, if they really WANT to have kids. This is actually a very new thing and I feel much of the world struggles to understand it. Asian people have strong family values, so to have this issue come out so blatantly, is quite enlightening. It led me to think alot about this issue and my own parents. I have come to a strong result that I personally believe, that you should marry for love and have kids because you want to. But this drama, which I absolutely love about Korean dramas, brings up all kinds of conversation one could have about this subject alone and it's only episode 4!!!! This is the very reason I've fallen for Kdrama. So far, I'm very much enjoying this drama, keep up the good work!!! kai Nov 20 2013 6:44 am where is Park Jibin? Kristine Nov 11 2013 11:33 am @Jennifer, I hope w/ combination of 'Sound of Music (w/o music)', just the governess marrying the household father part. But dont know if this Korean version will follow the JP orig., if indeed then its just plain Nanny McPhee adaptation. Jennifer Nov 10 2013 4:02 am Oh! So It's like Nanny McPhee? Chloe Nov 09 2013 3:25 am Love this drama, hoping going to be happy end not like JP ending. And for choi ji woo I always love her movies, she so beautiful. I hope to see her next drama with song Jong ho they make a great couple. Kristine Nov 07 2013 10:53 am Understand now why this drama is having its fair share and rating well in S.Korea. Just saw the Japanese orig., each has its own way of presenting this story, but I think I love this version more, very interesting: like the love triangle twist (longer presence of dad's lover-antagonist), like the kids character esp love the boys & youngest girl who played in here, and Housekeeper's past they relive in present w/ the family helping her to deal with (the stalker is so annoying). But I do really hope, they would have a different Ending in this version than the Japanese. Would love if Mita found her new home and get back to her old self as a loving mom & wife, as a human. Btw, Choi Ji Woo is great here, she suits very well the Mom role. Ahmutt Nov 05 2013 2:31 am In ep 13, why does the Sang Chul need to account to CEO Jang and Song Hwa whether he is going or marry Bok Nyeo. It's none of their biz. He's free to marry if he wants to. Mattie Nov 01 2013 8:33 am Ok, I'm hooked on this drama. I missed the first 3 episodes but caught up as fast as I could. I wish I had a housekeeper like this growing up. Khin Oct 31 2013 8:18 am I really wish Park Bo Neo falling in love with the kids' father and they all live together! I want a happy ending!!! taesung Oct 31 2013 1:27 am one of the best unique korean drama. cheonsa Oct 30 2013 5:11 am song jong ho portrayed as seo ji hoon brilliantly . he made such a good job. and i really miss his versatility in my onscreen tv >.< fighting the strange housekeeper! Kay Oct 29 2013 12:40 am SILLY STUFF!!! Thumbs down on this one! LenLen_ph Oct 24 2013 3:13 am please watch this drama in korea! it has different plot. i hope the rating will be high... thogh my other fave Ha Ji Won drama will start on monday with the same time slot. good luck to both! Rere Oct 15 2013 6:34 pm Ah.. This drama rating finally going up after Good Doctor end.. Suspicious Housekeeper jjang. ^^ Love this drama soo much..
lynn Oct 14 2013 8:16 pm Why is the rating so low? It's such a good drama. I love it!! Watch this great drama!! hyesnow01 Oct 14 2013 7:55 am this drama is so daebak.. can't wait for for the next ep [ep 7] .❤ nam da reum ^^.. please release ep 7 faster..
Kay Oct 13 2013 3:44 pm I have a "suspicion" that this housekeeper will become more humanized and a member of this household. Not having seen the original version, I'm just going on gut feeling. RPop Oct 08 2013 7:27 pm Does anyone know who is the actor who played Woo Jae, and the actor who played the douche boyfriend ? Pika Oct 02 2013 10:57 pm This is the remake for Japanese Drama Series "Kaseifu No Mita". And i have to say that the Japanese version of the housekeeper was so much well played by Matsushima Nanako. She was more expressionless. sweet potayo days Oct 01 2013 6:54 pm Frigging love this drama from the first episode I was sold. Actually I'm was already convinced when talks about this drama about Choi his woo in the summertime. Very intriguing theme and love the family centered aspect of it all. I'm hooked. Oppa!! Hwaiting!! Saranghaeyo!! I love ----- actor!! Hwaiting... So much better than --- version!! kdrama lover Sep 27 2013 12:42 pm who was the guy in headphones in the trailer ? Sona Sep 26 2013 10:42 am I think they remade an amazing drama! I have to say this one was quite different from all other Japanese drama I had watched before. The good thing about this drama it shows everyone in a different light. 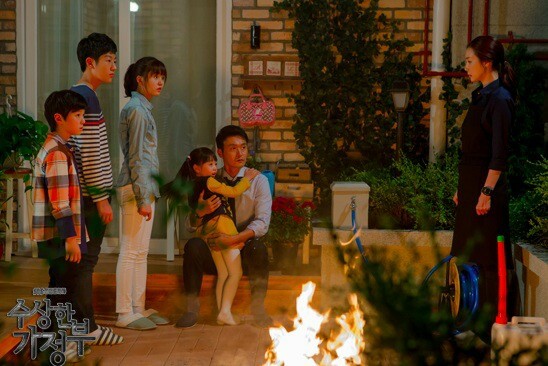 I mean most dramas do, but this one is quite unique, it tackles family, a father and his children. A women who can smile but choose not to. It is interesting. I think they choose a right one to remake. junpei mizocendol Sep 25 2013 10:23 pm I think this time they remake a wrong drama. They should've do copies of quality dramas and there are lots of scripts in Japan that are a lot more worthy enough to be remade with. The original version itself is an overrated crap and I highly doubt this one will ever be better. Girl Sep 24 2013 7:32 pm Who was the guy with the headphones in the trailer!! -0-0 Sep 23 2013 8:21 am the japapnese version was good, but there really was no real plot to it, and i hate dramas with no couples whatsoever (the mistery was'nt good enough) - so if thats the same here i think it will be a so-so drama..
kpoplover Sep 18 2013 2:02 am i love all the child actors and actresses but my idol is KIM SO HYUN i love her she is the best young actress. she is the one who made me want to become and actress. KIM SO HYUN you are my inspiration!!!! TruthTeller1 Sep 07 2013 8:03 pm Japanese version> korean version. soĺar Sep 07 2013 4:57 pm Korean version of kaseifu no mita.Japanese actress Nanako was simply brilliant and others also gave a solid performance.Usually the korean remakes are not that great,but interesting to see choi-ji-woo gracing the silver screen after quite some time. True2U Sep 04 2013 12:51 pm @Dante the second one I remember is My Boss My Hero Korean Movie that was made into a J drama. The K-Movie My Sassy Girl was also made into a drama. "Hotelier" is another one and K Drama Hit series "My Girl", and the list can go on. Everyone adopt from each other, so I really don't care if a remake is done. Ex. Should a country choose to do a remake a few of my fav, I'll just check out a few episodes or just chose not to watch them. Case in point "My Lovely Sam Soon and Coffee Prince" which was remade into a Philippine drama. I didn't watch the remakes of those because it didn't grab me/ I could only see Kim Sun Ah as Sam Soon(She's my bias), yet I've read comments on them being good. 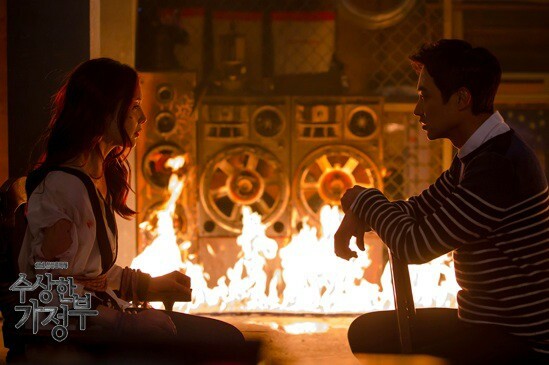 Never watch Bad Guy, It looked too tiring so I skip that drama. And yes I can understand why it buys you. It's like plagiarizing and getting credit for what someone else did. True2U Sep 04 2013 6:52 am @dante 1st Drama would be Ikemen desu ne aka "You're Beautiful". I'll give you the second one later. I have to run to class. dante Sep 03 2013 7:40 pm @True2U: Ok, then please name just two J-Drama that adopt K-Drama.. As for myself, I can hardly think even for one title. Actually I got no problem too. It just bugs me when some K-Drama adopt certain elements of J-Drama but don't give any references. Just compare Bad Guy (K-Drama) & Sora Kara Furu Ichioku no Hoshi. True2U Sep 03 2013 6:18 pm @ The Comment below. Both countries adopt from each other. It's not ONLY Korea that makes remakes of a another country dramas. Japan and China do it too. I have no problem with remakes. If you don't want to watch it, that's fine, but some of us are looking forward to it. lovely kim so hyun Aug 24 2013 9:47 pm kim so hyun my idol..
Adhe Talla Aug 09 2013 5:58 pm Choi Ji Woo eonni JJANG. Homer J Simpson Aug 02 2013 5:00 pm I can't wait to see the eternally beautiful Choi Ji-woo returning, once again! Her tears become mine and her smiles as well. Welcome back to the undisputed Queen of Hallyu! !